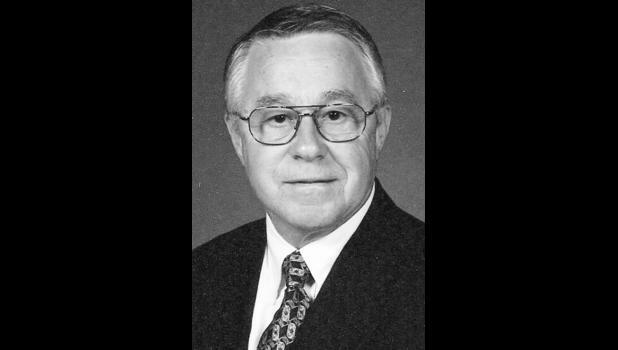 Gary M. Bowser “G.M.,” 77, of Holton, passed away Wednesday, May 27, 2015, at Holton Hospital. He was born February 25, 1938, in Horton, Kansas, the son of Wil­liam J. and Margaret L. (Kincade) Bowser. He graduated from Holton High School in 1956. G.M. had worked at J.C. Pen­ney’s for more than 20 years and was a self employed Montgomery Ward Franchise owner. He owned and operated Coast to Coast Hard­ware in Russell and Sabetha, retir­ing in 1997. He was a member of the Holton Masonic Lodge and a member of Evangel United Methodist Church. On August 24, 1958, he married Janis D. Blossom in Holton. She survives of the home. Other survivors include: his son, Gary Bowser (Jaime) of Sabetha; his daughter Gina Brewer (Chuck) of Derby; his brother, Larry C. Bowser (Barbara) of Oskaloosa; and his three grandchildren, Keaton Brewer, Kamille Soutee (Matt) and Blake Bowser. G.M. was preceded in death by his sisters, Marjorie Gilliland and Betty Joan McAllister and his brothers, Robert C. Bowser and Johnny W. Bowser. Funeral services were held Mon­day morning, June 1 at Mercer Fu­neral Home in Holton. Burial was held in in Holton Cemetery.